Chicago Mayor Rahm Emanuel declared 2017 the "Year of Public Art" for his city. But Chicago is not the only Illinois city that can claim the title. 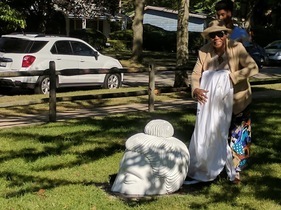 In 2017, the City of Evanston had its own public art Renaissance, with the installations of five sculptures, six murals and a multitude of temporary or "pop up" art pieces. 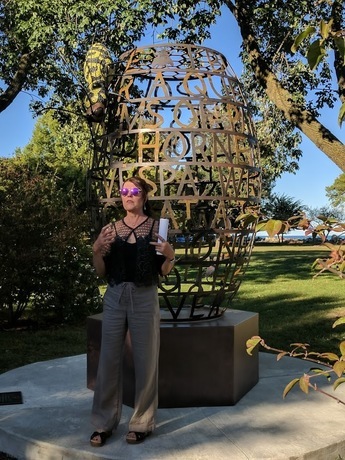 Above, Evanston Artist Janet Austin inspires the audience at the unveiling of her sculpture Attached, the pilot piece of Evanston's new sculpture leasing program. Ms. Roberts, who has lived in the neighborhood surrounding Smith Park for over 65 years, unveils the new 10,000 Ripples sculpture in the park. The installation was a collective effort of residents who wanted to emphasis positivity, peace, tolerance and unity in their neighborhood. 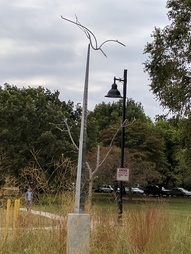 Evanston artist Pearl Hirshfield's Homage to the Whooping Crane appears to be flying in for a landing to the bird sanctuary at the lakefront. Hirshfield donated Crane, and a second sculpture, Nature's Gift to the City of Evanston. Nature's Gift graces the landscaping just south of the Main Street CTA station on Chicago Avenue. This mural created by artist Shawn Bullen was installed on Elmwood Avenue. 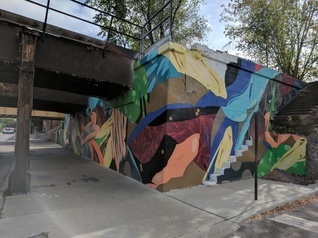 The mural is one of a series of installations overseen by EMAP (Evanston Mural Arts Program), which is directed by Lea Pinsky and Dustin Harris. 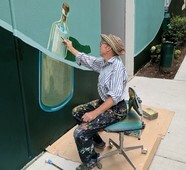 Artist Thomas Melvin puts the finishing touches on the newly installed E2 mural just south of Emerson. 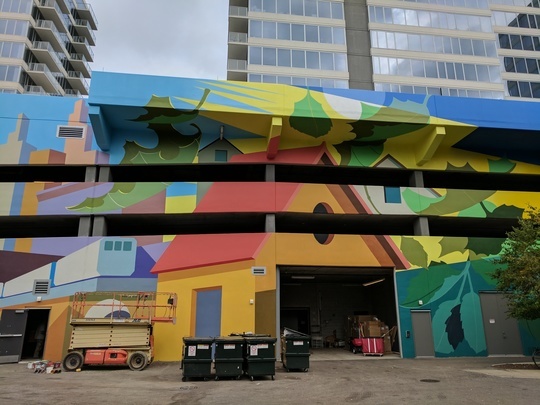 Access to the mural can be found through the alley on the south side of the building. The mural, which stretches the entire length of the building, is now the largest single mural in Evanston. This mural by Ruben Aguirre (and managed by EMAP) wraps around the corner of Dempster Street and Sherman Avenue. 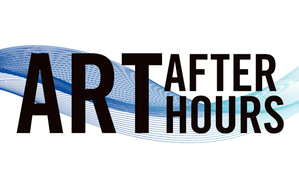 Please join us at our next Art After Hours, a networking and connecting event for members of the arts and business communities.This month's event will take place at Cultivate Urban Rainforest (704 Main Street) on Thursday, October 20 from 5:30-7:30 PM. The cost to attend is $7.00 and includes hors d'oeuvres and small bites. RSVP here. Our annual Bright Night for the Arts event has been moved from its original date on November 9 to early January of 2018. This is the event where we take a look at the previous year's accomplishments, celebrate what the arts bring to our community and acknowledge the winners of the Mayor's Awards for the Arts. We will release the new date and details soon!